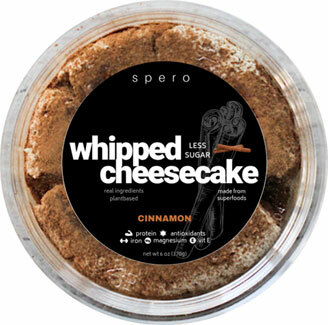 Spero's Whipped Cinnamon Cheesecake is like the crack that loves you back - it's extremely addicting, but good for you, too! Low in sugar and a good source of plant-based protein, this treat satisfies the sweet tooth. 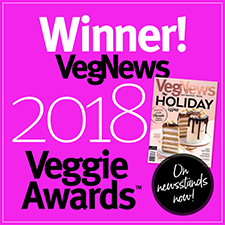 Drizzle with dark chocolate for a real treat, but don't stop there - not only is it an awesome dessert, but you can also enjoy it like a vegan ricotta, use it to make cannoli, use as a mousse, or stuff it in baked sweet potatoes for a unique treat. 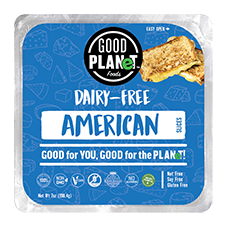 Packed with vitamins and minerals, it's made only from simple, clean ingredients that you'll feel good about eating. It's also GMO-free, soy-free, gluten-free and nut-free, making it a great treat for everyone!